The (E4D Dentist System, NEVO or PlanScan) system is an award winning chair side CAD CAM system that produces beautiful SAME DAY restorations. Restorations such as all porcelain Crowns, Veneers, Fillings and Bridges. A handheld scanner captures a true 3-D image.The clean, fast digital scan is obtained in a few minutes through a series of photographic images from a model or can be taken straight from the mouth. From these images the system creates a virtual model on our design center and enables the operator to design your restorations within minutes. The design is then sent wireless to the in-office milling station which fabricates the restoration from high-quality, metal-free materials. 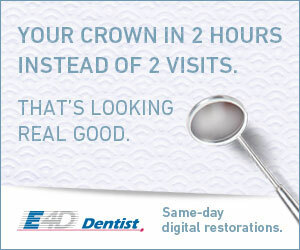 Your permanent restoration can be ready to be seated in your mouth the same day or even within a single appointment. The final result is a natural-looking restoration that beautifully fits the surrounding teeth, making the crown, veneer or filling virtually undetectable. The elimination of impressions, temporaries, second appointments, and waiting for the permanent restoration revolutionizes the entire dental experience for both the dentist and the patient. Patients will love watching their new tooth come to life, as well as the convenience of same day dentistry. 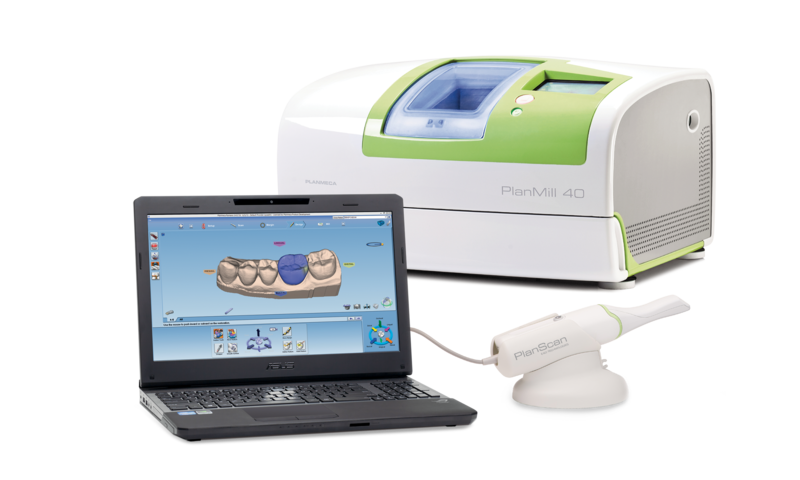 The (E4D Dentist, NEVO or PlanScan) system empowers dentists to treat their patients with dentistry that truly fits their lifestyles.